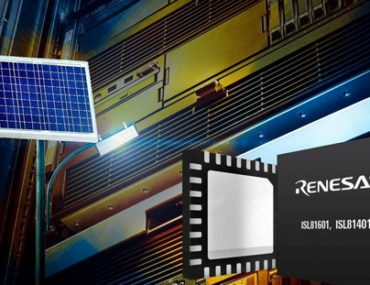 A board designed for the evaluation of Renesas Electronics’ recently launched ISL81601 bidirectional buck-boost controller IC is available at RS Components. The ISL81601EVAL1Z evaluation board integrates the ISL81601, which is a true bidirectional four-switch 60V high-voltage synchronous buck-boost controller. The 47000 series encapsulated Switch Mode Power Supplies from Myrra is now available at JPR Electronics. 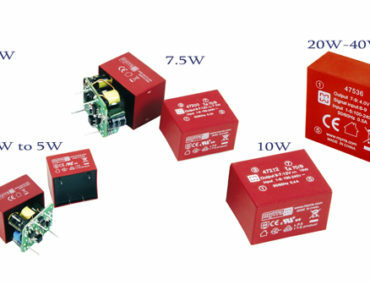 These are a range of encapsulated, PCB mountable power supplies from 1W up to 60W. The range includes power supplies with VDE & UL approvals, CE marked and meet class B EMC standards without any additional external components. 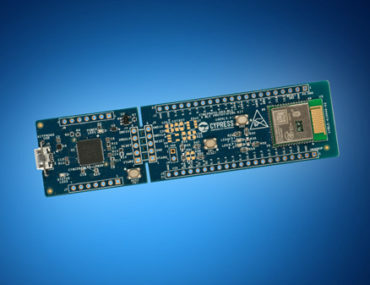 The PSoC 6 BLE Prototyping Kit from Cypress Semiconductor is in stock at Mouser Electronics. 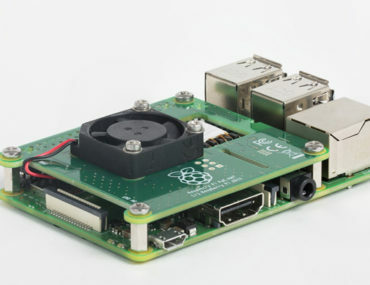 Offering easy access to up to 36 general-purpose inputs and outputs (GPIOs), the low-cost, breadboard-compatible kit offers a turnkey solution that adds Bluetooth low energy 5.0 connectivity to Internet of Things (IoT) applications, including smart home products, wearables, white goods, and industrial IoT devices. 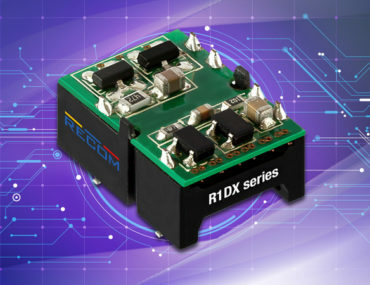 Now available from Dengrove Electronic Components are RECOM’s R1DX dual-output isolated DC-DC converters offering a choice of ±5V, ±9V, ±12V or ±15V bipolar outputs. The nRF91 system-in-package (SiP) from Nordic Semiconductor is available at Mouser Electronics. 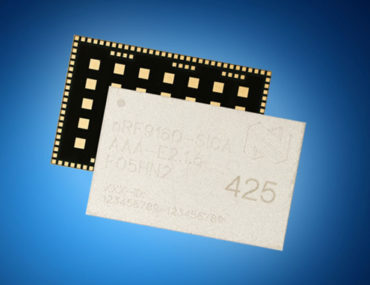 Featuring an integrated application microcontroller, full LTE modem, RF front end, and power management in a single device, the nRF91 SiP is ideal for low-power cellular Internet of Things (IoT) applications. 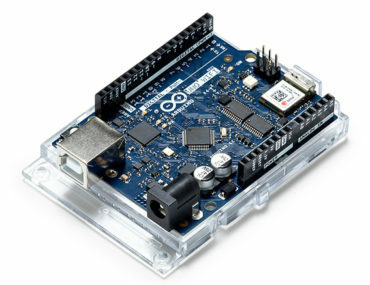 An Arduino board that comes with WiFi wireless networking capability and more processing power than previously available, by integrating a new 8-bit microprocessor from Microchip, is available at RS Components. 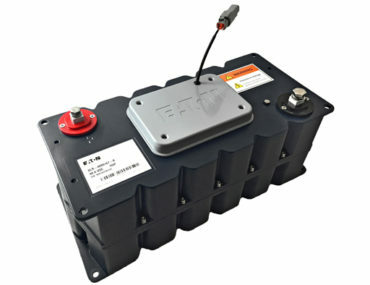 A supercapacitor module from Eaton that delivers high reliability, high power and ultra-high capacitance energy storage is available now at TTI. Utilising electrochemical double-layer capacitor (EDLC) construction, the Eaton XLR-48 supercapacitor module can be used as a sole energy source or in combination with batteries to optimise cost, lifetime and run time. 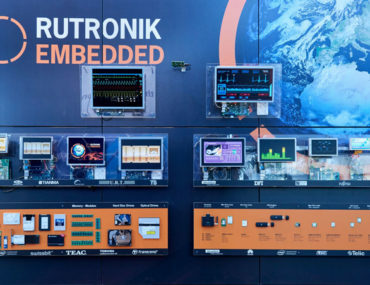 Embedded, the Internet of Things (IoT), Industry 4.0, security, wireless, and display technologies – Rutronik will be covering all the technology bases at embedded world 2019 in Nuremberg (February 26-28). 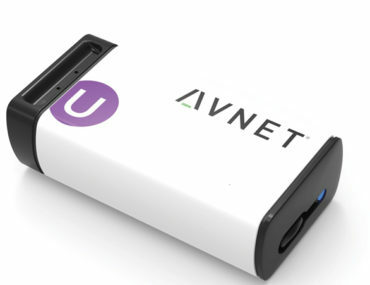 SmartEdge Agile, a low power, IoT ready-to-use device developed through a partnership between Avnet, Octonion and ST Microelectronics is in stock at Farnell element14. The first in a new category called “Meta-Sensing”, SmartEdge Agile includes nine sensors, and provides design engineers with the ability to implement artificial intelligence (AI) at the edge through an easy-to-use, zero-code interface.